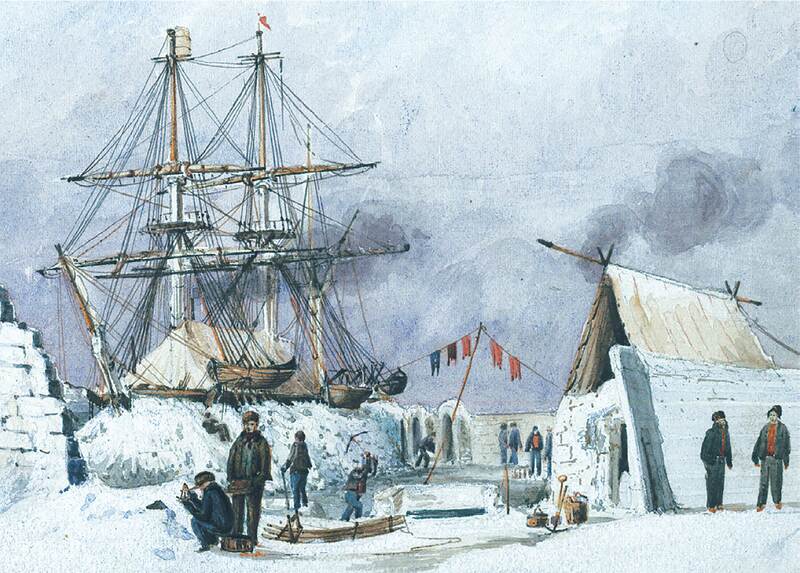 Captain Owen Stanley (1811-1850) painted this watercolour based on drawings he made while on Sir George Back’s Arctic expedition in 1836 and 1837. 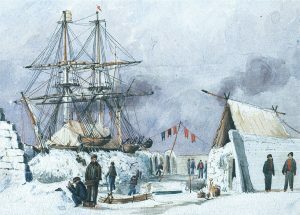 He served on the HMS Terror, which almost a decade later would be lost after returning to the Arctic for the Franklin Expedition. Stanley was not part of the ill-fated voyage, having moved on to command his own ships and sail to New Zealand and Australia. The HMS Terror was found in September by the Arctic Research Foundation. The drawings are part of the University of Toronto’s Thomas Fisher Rare Books Library. The Gleaner wishes to thank Loryl MacDonald and Maureen Morin from the University of Toronto libraries for their help in creating this year’s cover photo.